Peter Behrens' new novel – a follow-up to his Governor General Award-winning The Law of Dreams – came out this week and he's working the blog circuit. House of Anansi got in touch with me last month about participating, so I'm reviewing the book today, and tomorrow I'll post a Q&A I did with him. 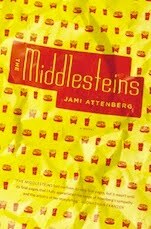 As anyone who reads this blog knows, I am a fan of layered perspectives in a novel. When it's done well, it's one of my favourite devices because it allows you so much insight into what's happening. Rather than having to infer what other characters feel and think you get the chance to understand their perspective, which generally enriches the story. 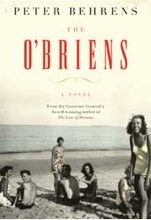 Peter Behrens' The O'Briens is a novel about that titular family, starting when Joe O'Brien (our main man) was a teenager in the forest of the Ottawa Valley during the 1890s and leading us through his life until the 1960s. The novel starts out from Joe's perspective. His father died in the Boer War and it's just his mother, himself, his brothers, Grattan and Tom, and their two sisters left in the wilderness. Then Joe's mother remarries a drunken fiddler, who beats her and molests the two sisters. Joe, only 16, has already started a relatively profitable lumber business when he decides to deal with his stepfather. Joe takes the man to the barn and beats him (with his brothers' help) to within an inch of his life. Shortly thereafter Joe's mother dies and he packs up his brothers and sisters and moves them out of the wilderness, which is the only thing they've ever known. Joe is driven. From the get-go he knows he wants success in business and to marry a woman who is better than he is, with whom he'll have children. After seeing his brothers and sisters safely entered into various religious schools – his sisters go on to be nuns and his brother Tom becomes a priest – Joe heads west to seek his fortune with a railway contract. In the following section, which is also quite long, we're introduced to Iseult – Joe's future wife. She grew up on the East Coast of the U.S., but after her father's suicide she and her mother moved to Pasadena. When Iseult is in her early 20s, her mother dies, so she decides to move to California and leaves for Venice. She has money from her inheritance and her plan is to buy a little house where she can be alone and feel the air and the sun and just breathe. Iseult has a kind of crippling asthma, so light and airy spaces are what she dreams of. In the first real estate office she enters, who should be behind the desk but Grattan, Joe's brother. Grattan sells Iseult a little cottage and through him she meets Joe who's in town for the winter because the railway is too frozen to continue working on. They have a very brief courtship and then they get married. The rest of the novel's sections are somewhat shorter than the first two, and they follow Joe and Iseult up into the Rockies where Joe is working on his railroad contract and where Iseult loses their first child. The marriage never really recovers from that, but they do eventually have three more children – Mike, Margo, and Frankie (short for Frances). Although Mike is born out west, by the time the girls have come along Iseult and Joe have moved east to Montreal, where Joe sets up a construction company and starts building houses and bridges and roads. The family seems to travel constantly, and very little of this half of the book is told from Joe's perspective; rather, Behrens focuses on Iseult and the kids, especially Mike, to tell us what Joe is like. This is a family story, both about the family Joe built around him and his brothers and sisters, but it is not an entirely happy one. Joe's sisters die during the Spanish Influenza epidemic, Iseult takes the kids and leaves for a while, and Grattan is a pilot in WWI and comes home a completely different person, among other things. There are several different plots going in the second half of the novel (which happens when you have several narrators) and the sections start to feel a little choppy as they jump through years without really explaining what happened in between. Nonetheless, at this point I was pretty involved with the novel, so I forgave the missing pieces in favour of what was there, which is a lot. It's ambitious to take on this kind of multi-generational family saga, especially during an era when so many things of historic significance happened. The family touched by almost every major event of the early 20th century, which makes this novel a kind of alternative way to learn history, especially where war is concerned. Usually a big novel like The O'Briens would be released in the winter, but a thick and interesting book is perfect for taking on vacation, and although this isn't always a cheerful story, it won't entirely take the wind out of your sails either. It's a summer novel that asks you to think and engage, and in return gives you something to sink into.